Edmodo is a powerful web-based platform that has a huge potential for us in education. 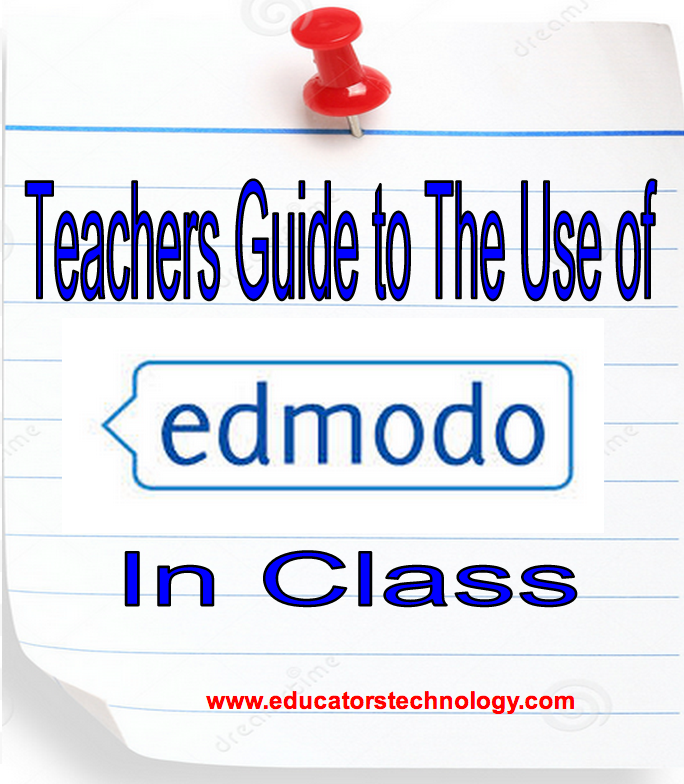 The features and functionalities provided by Edmodo for teachers and students are invaluable and hence the importance of having access to a handy guide like the one below. This visual guide aims at helping teachers tap into the educational potential of Edmodo. 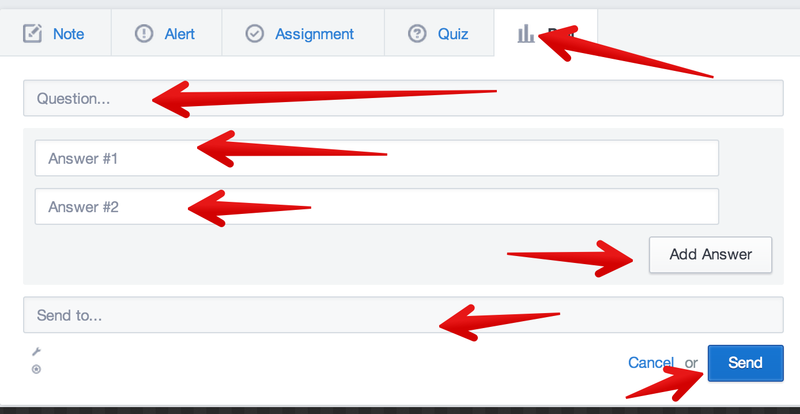 How can I use edmodo with my students ? Write short summaries of lessons for students who were absent from class (better yet: get your students to write the summary). 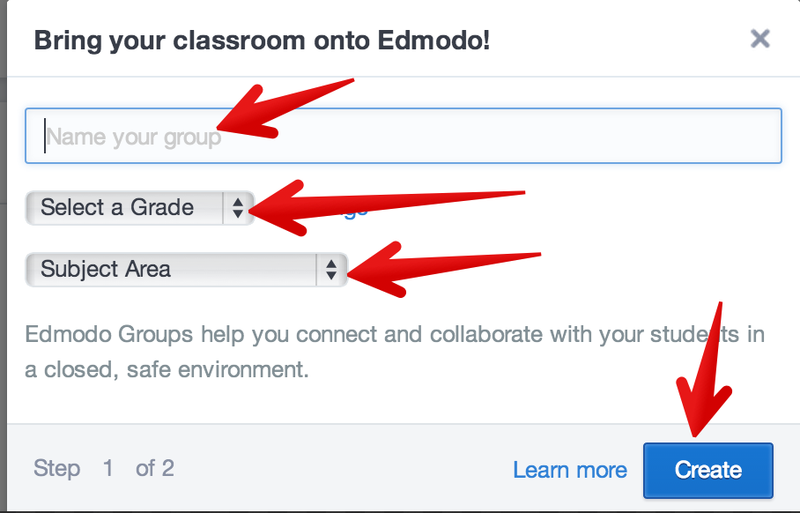 What is it that makes Edmodo class a secure environment ? 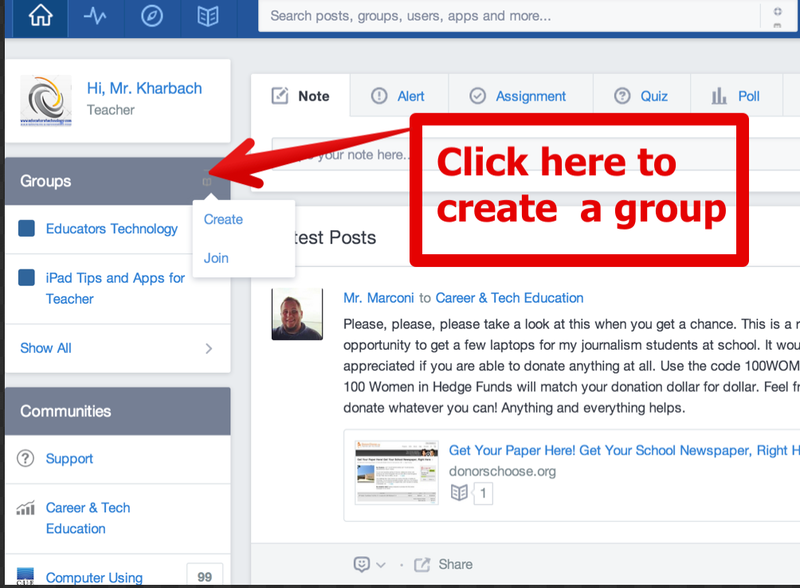 One of the great things I like about Edmodo is the ability to create a group for your class and invite students to join this space. Once the group is set up you can then upload files to it and publish posts for other to see. To create a group click on " Groups" then "create". 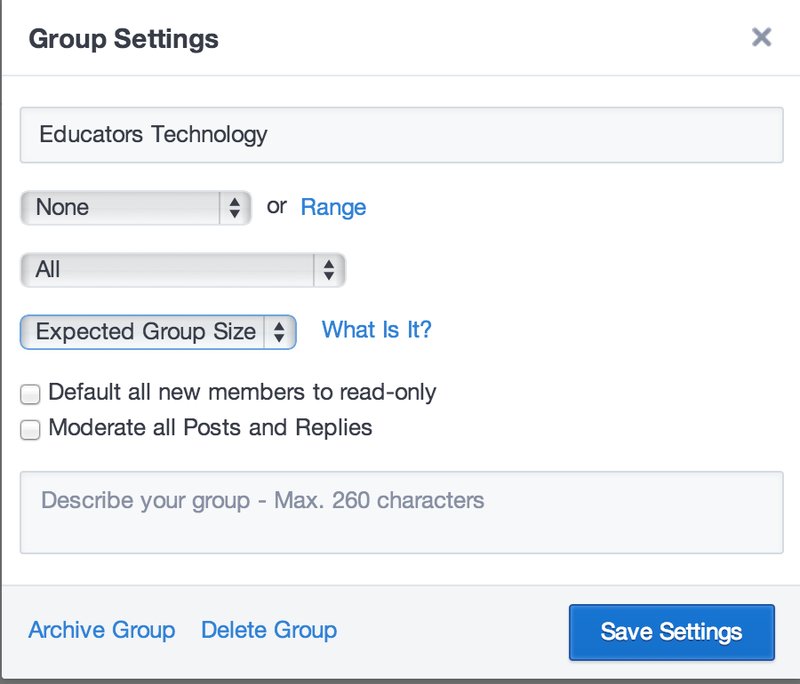 Give your group a name and select the grade of your class and the subject area. Customize the setting of your group as you see fit. There are two ways to invite your students to join your class group. 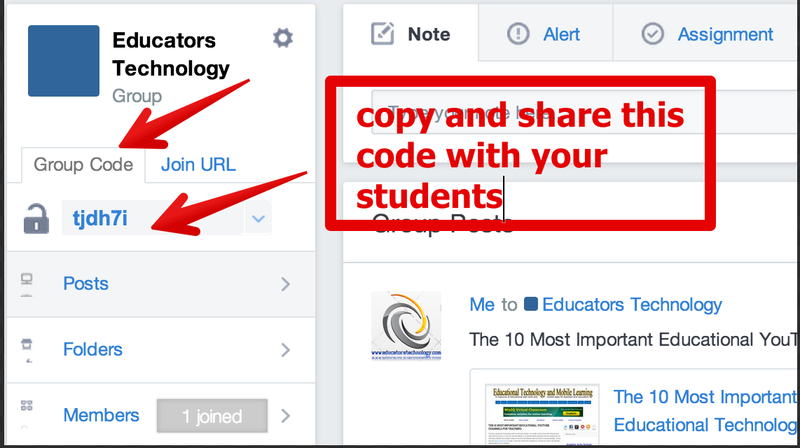 You can either click on " group code" to generate a specific code to share with them via email or you can click on " join URL" and then click on "invite". To add folder to your group, click on " folder" then on " add folder". Once the folder is created you can then add to it files, links and materials from library. There are different things you can share with your students. You can share notes and links, upload files, post alerts, create and share assignments and quizzes and design polls. 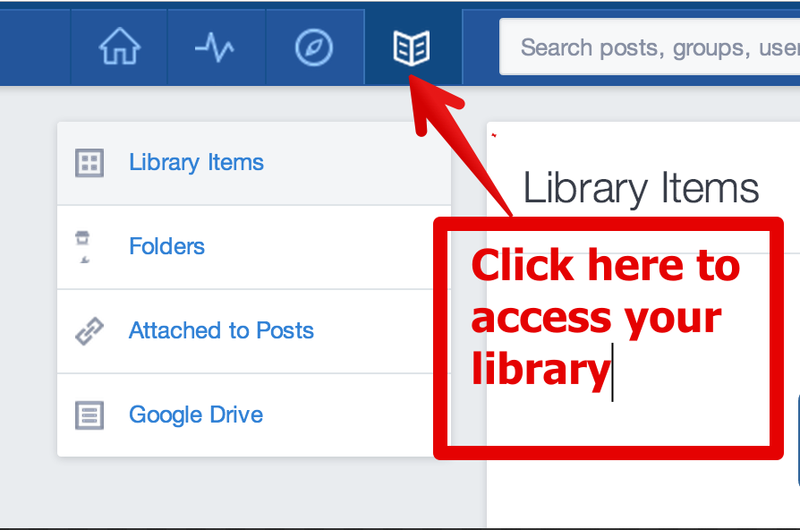 Edmodo also provides you with your own library where you can add folders, files and links and share them with your students. 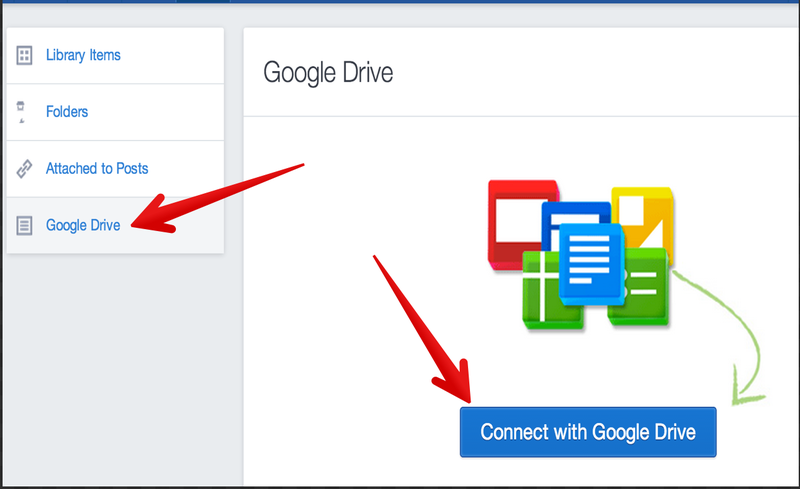 You can also connect your Google Drive with your library and have instant access to your saved materials on your Drive right in your library. There are several third party apps that you can use with Edmodo to enhance students productivity. a list of some useful apps to use with Edmodo can be accessed here. 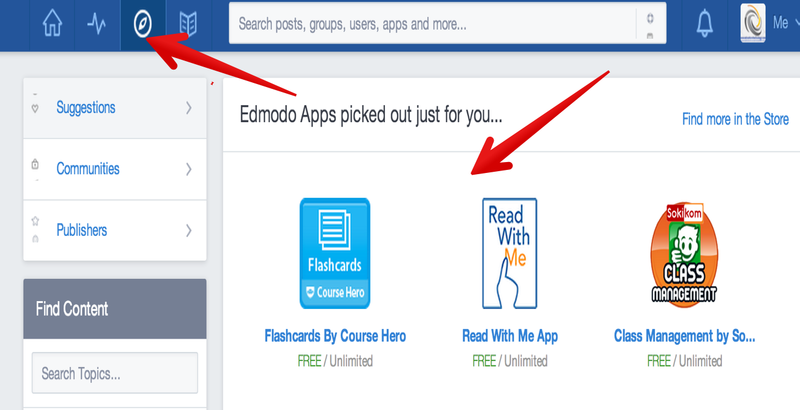 To add apps to your Edmodo just click on the " discover" icon as shown below and search for the apps to add. 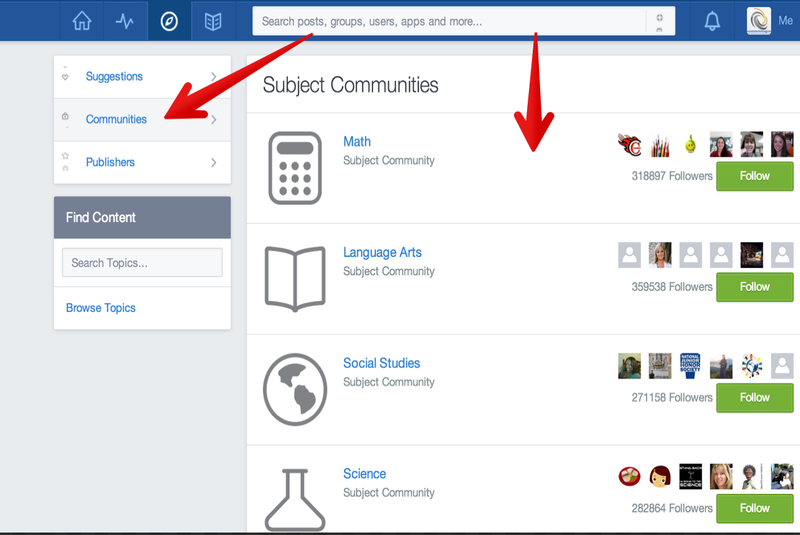 Edmodo is a community based platform and you can search for communities of interest to you and your students and join them to learn from what they share. To search for communities just click on " communities" as displayed below and browse through the titles till you find the one that interest you and click on " follow". 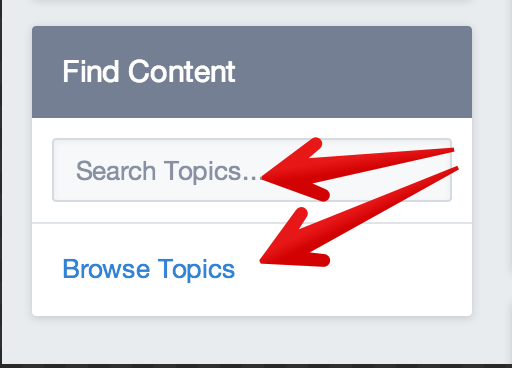 You can also search for topics and content to share with your students using the " find content " form which is found under the " communities" tab. Edmodo provides a wide range of ready made badges that you can use to reward your students. browse through the selection it has and share with your students. 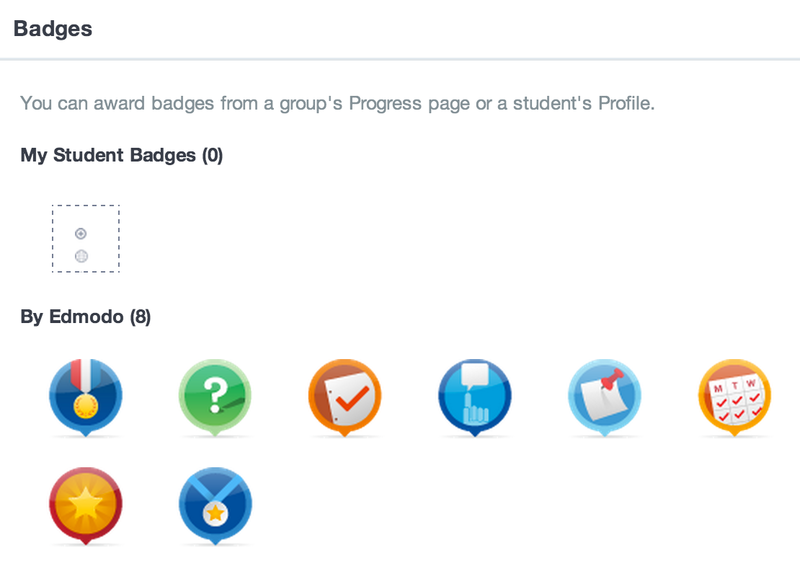 To access badges, click on " progress" icon as is shown below and select " my student badges"